Thanks for trying out the demo version of Brain! Brain is a playful simulation environment we use to teach cognitive neuroscience at Stanford in the course "Introduction to Cognitive Neuroscience". The class is taught by Professor Justin Gardner, Head TA Daniel Birman, and a team of graduate and undergraduate TAs. 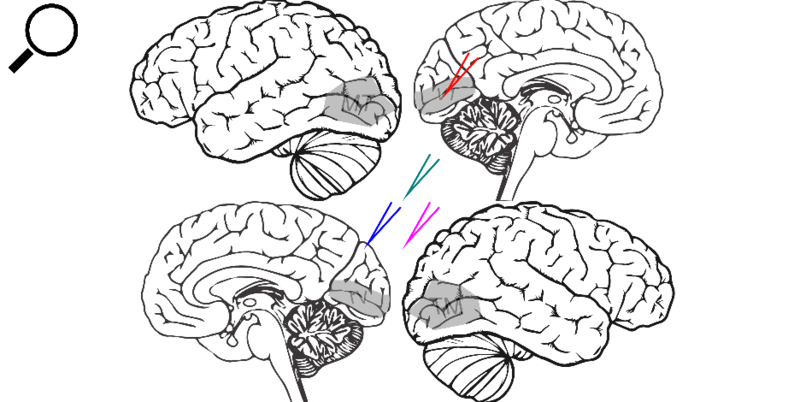 Using Brain should be intuitive, if you have any ideas to improve usability please let me know! Go ahead and zoom in. Great! Click the zoom again (or double click the window) to go back to the original screen. You are now recording from a single neuron in area V1. Let's see if we can find the neuron's receptive field. We'll create a stimulus and place it in the visual field (the projector screen) and see whether we can get this neuron to become active. Select a visual stimulus by clicking the + icon. 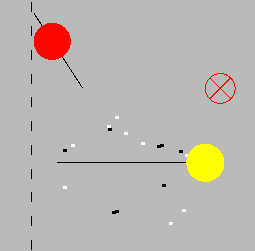 Go ahead and choose the dot stimulus (on the left) and find the receptive field. 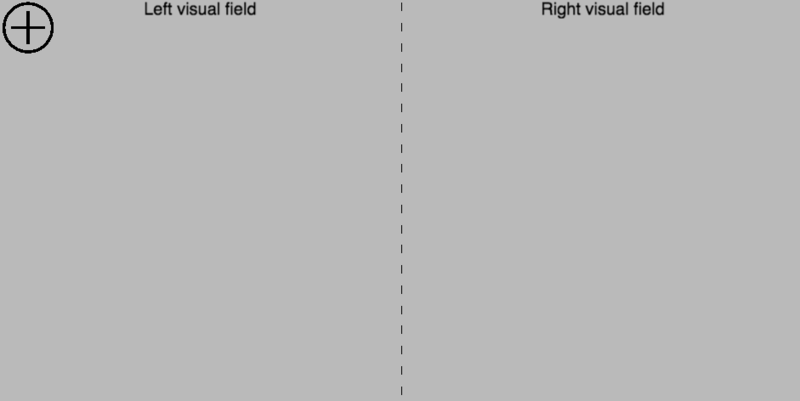 (Hint: if you're recording from left V1 then the receptive field should be in the ... visual field). To get rid of a stimulus click on it and press the X to delete it. Some stimuli can also be rotated and all stimuli have a control to change their contrast. You need to click again to close the controls so that you can move the stimulus again. Please contact Daniel Birman for more information! © Daniel Birman 2016-Present Code.